Today’s post is a guest post by fellow Pinholista Jeff McConnell who lives in New Jersey, USA. 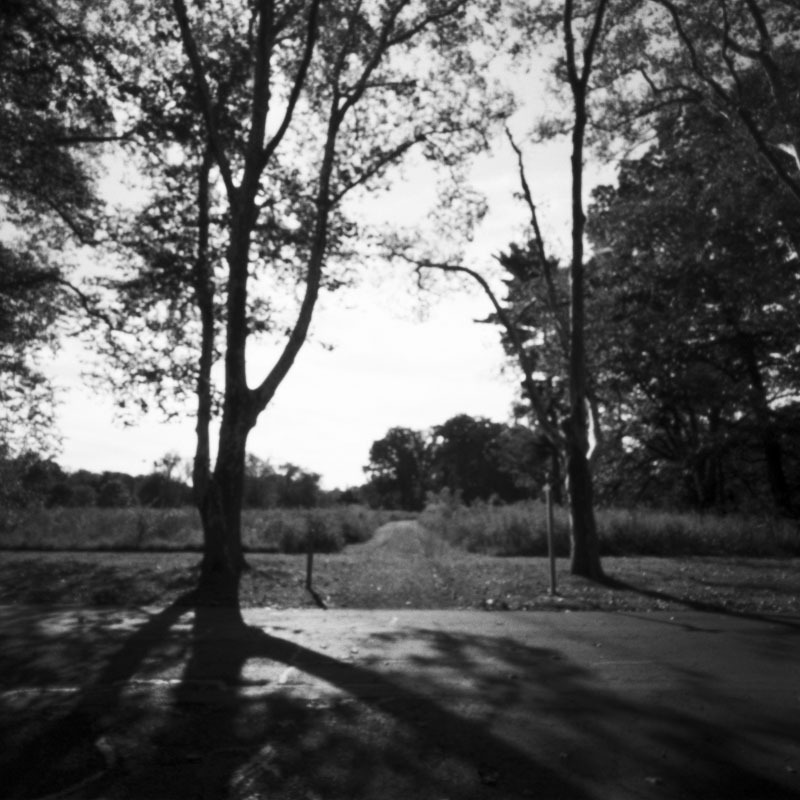 You can see more of his fantastic pinhole photography at his website: How Things Look. Duke Farms is a huge estate in central New Jersey. It was put together before 1900 by the founder of Duke Power and American Tobacco. His daughter, Doris Duke, opened parts of the estate to the public in 1958. Recently the focus of Duke Farms has turned to ecology and preserving native plants. They have a lot of cool stuff going on. A huge stone barn has been made into a visitors center (with really good sandwiches,) you can borrow bikes for free, and the whole thing is powered by solar panels. There are loads of trails for walking or biking, a very cool old greenhouse filled with orchids, an abandoned stone barn turned sculpture garden, and more. It’s a great place to go for the day – and if I lived closer I might join their huge community garden. Every time we go it feels different – just like any farm would, I suppose. If you are a pinhole photographer and would like to contribute to this site drop us a line in our contact form on the about page! We love contributors!